Chuseok is ahead of us in September in Korea! Chuseok (‘Hangawi’ in Korean), or the Korean Thanksgiving, is one of the biggest Korean holidays. And the good news is, this year’s Chuseok will be 5 days long in total, starting from Sept 22 to 26. Many shops, department stores, and restaurants will close down at some point during the holiday. Still, luckily, there are many places to visit and exciting events for travelers and expats in Korea to enjoy during the Chuseok holiday. 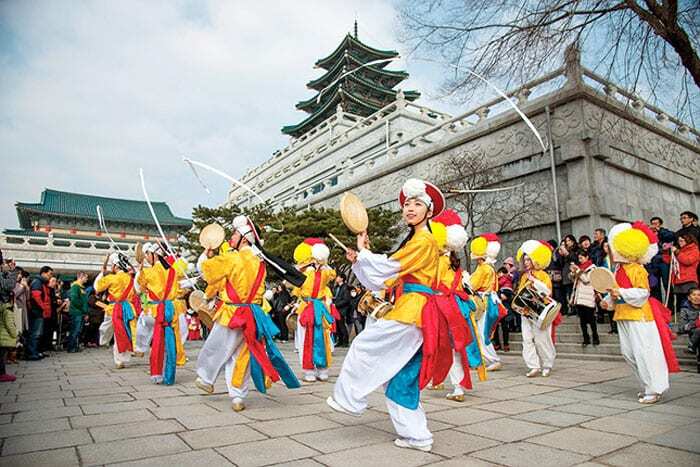 In Seoul, the royal palaces and museums are perfect places to get into the Chuseok holiday spirit as they will offer plenty of cultural and traditional activities to indulge in. • Korean Folk Village – Korean Folk Village is a “living museum” type of outdoor park where you can feel what Korea was like in the Joseon Dynasty (1392~1910). You can explore every corner of the village and go into various types of ancient houses. Get 42% off on Korean Folk Village here. • Namsangol Hanok Village – A popular Chuseok holiday destination, located near Chungmuro Station, where visitors can take part in various hands-on activities and enjoy folk music performances. • National Folk Museum – Located in the grounds of Gyeongbokgung Palace, the National Folk Museum offers a wide range of hands-on activities and traditional games. Open during the Chuseok holiday period except on Oct 4. • National Museum of Korea – The National Museum of Korea, the nation’s largest museum located in Yongsan in the central Seoul, will hold various traditional events. Open during the Chuseok holiday period except on Oct 4. • Korean War Memorial – The Korean War Memorial in Yongsan displays replicas of missiles and exhibitions about the Korean War. From October to November, the daily events, such as Military Musical Performance and Women Honor Guard Marching, are held every Saturday at 3pm. The exact operation date for the Chuseok holiday is TBD. For a nontraditional holiday, set out for Korean amusement parks that are open all year round. As this year’s Chuseok coincides with the Halloween season, it will be a double joy! They will be more crowded than usual, so be sure to get the admission tickets in advance. Everland – Everland is Korea’s largest theme park located in Yongin, Gyeonggi Province, boasts a wide range of rides and attractions, such as T-Express, one of the best wooden roller coasters in the world. During Chuseok, enjoy Everland theme park’s Halloween attractions, such as the Blood City, a new zombie apocalypse-themed event, Horror Maze, Horror Safari and many more. → Everland discount ticket & shuttle bus packages – up to 40% off! Lotte World – Lotte World, the biggest indoor theme park located in Jamsil, Seoul, is holding Horror Halloween Season 2 until Nov 5. From zombie games in VR to live-action zombie invasions, there are plenty of attractions to give visitors the ultimate zombie experience! → Lotte World’s discount tickets – up to 43% off! Seoul Land – Seoul Land is the best family-friendly park located in Gwacheon, Gyeonggi Province that has the most kid-friendly rides and attractions. The “Halloween October Festival” will be held until Nov 15! → Seoul Land’s discount tickets – up to 55% off! If you are staying in Seoul, check out these brilliant musical and cultural performances that will spice up your holiday. Click on each performance below for details. Be sure to reserve your tickets in advance! • Cookin’ Nanta Show – Nanta Show is a non-verbal performance incorporating traditional percussion and humor that has long been a popular staple since 1997. The show runs every day at Myeongdong Nanta Theatre and Hongdae Nanta Theatre. • Jump Show – Packed with martial arts and humor, Jump Show is an award-winning nonverbal dance performance that incorporates ‘taekwondo’ and other Asian martial arts. Since 2003, the show runs every day at Myeongbo Art Hall in Jung District, Seoul. For more details about Jump Show, click here. 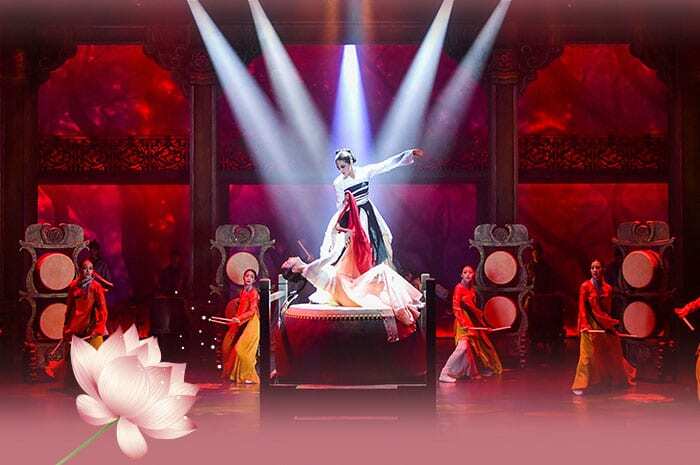 • The Palace ‘Jang Nok-su-jeon’ Show – A traditional Korean musical performance that is based on Korean folktales at Jeongdong Theater, Seoul. Jeongdong Theater is a state-of-the-art performing arts center for Korean traditional shows since 1995. • FANTA-STICK – A live Korean musical featuring a blend of Korean folk music ‘gukak’ and modern art performances, using Korean traditional instruments. The show runs every day at 5:00pm and 8:00pm at NH Art Hall near Seodaemun Subway Station in Seoul. Fortunately, less traffic jam is expected due to a large number of Koreans traveling abroad this Chuseok holiday. So use this time of the year to explore other cities in Korea! The best bet might be Busan, the second-largest city in Korea located down south. Famous for stunning ocean views and fresh, delicious seafood, Busan offers completely different experiences from Seoul. Trains and buses are almost always fully booked both during and before the Chuseok holiday but don’t be disappointed. For those who want to save themselves a trip to Busan this Chuseok, here’s an all-inclusive package, Hassle-free BUSAN 3D2N Trip for Chuseok 2018 (Sep 24~26), offered at an early bird price of $167 USD per person. 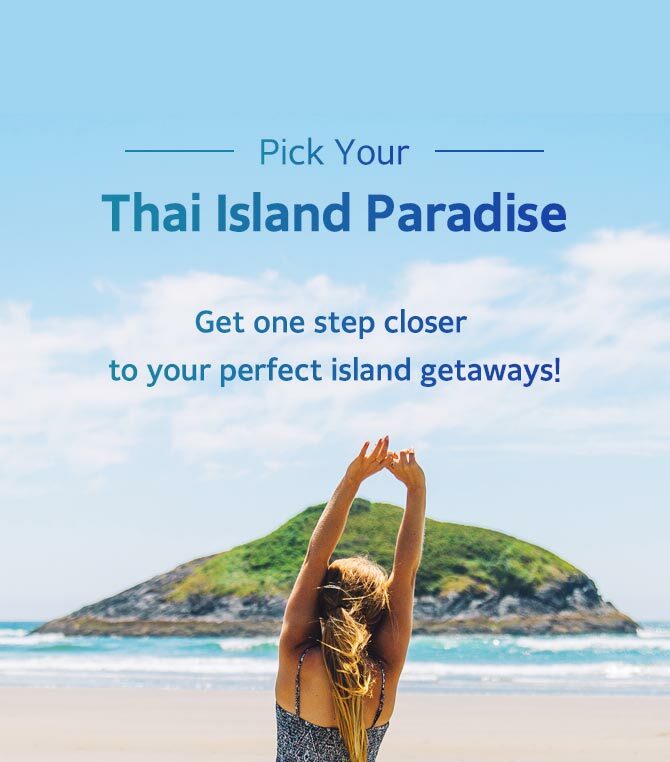 The package includes a round-trip bus transportation, 2-nights stay at Haeundae Citadines Hotel, a 4-star hotel in front of the beach and free time to explore. Book now! The early bird sale ends on 14 Sep 2018! Check out some of Korea’s best festivals to visit during the Chuseok holiday season! Jinju Namgang Yudeung (Lantern) Festival (Oct 1 to 15) – A major lantern festival showcasing stunning lantern displays on the Nam River in Jinju, Gyeongsang Province. Overnight shuttle buses from Seoul to the lantern festival are available. Andong Mask Dance Festival (Sept 29-Oct 8) – A famous festival that offers mask dance performances at Hahoe Folk Village and other sites in Andong, Gyeongsang Province. Mindung Mountain Eulalia Festival (Sept 22-Oct 29) – A famous silver grass festival at Mindungsan, or Mt. Mindung, in Jeongseon, Gangwon Province. For more ideas for your next trip to Korea, check out Trazy.com, Korea’s #1 Travel Shop!